TUCSON, Ariz. — Tucson Mayor Jonathan Rothschild speaking for the first time to KGUN 9 on Tuesday about his decision not to run for another term. 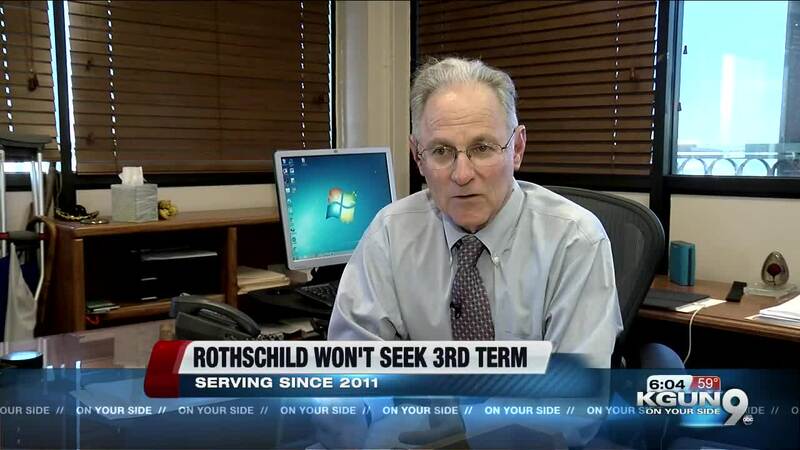 Rothschild, a Tucson native, first took office in 2011. He is the first Democrat to lead the city since 1999. He said it just felt like the right time, personally and professionally, to leave the office. "There's a lot I can look back on with pride," said Rothschild. "And I'm in a place in my life where I can take a lot of what I've learned back into the private sector and working with the public sector, to do still more good, just not as mayor." As of yet, no one has announced they'll run to replace Rothschild next year.